More of us are choosing a ‘staycation’ this summer according to a recent study by Travelodge, which means our motorways are destined to be busier than ever. 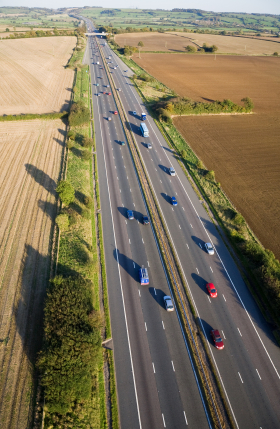 With the new on-the-spot fines for middle-lane hogging coming into play this July there is lots to think about when cruising down the motorways at this time of year. Two thirds of Britons are taking a summer holiday in the UK this year, which is up from 41% in 2012. When travelling abroad vehicle maintenance is the responsibility of airlines, railway executives and cruise ships providers but when you drive to a staycation, maintenance of your car is your own responsibility. With all the excitement about getting away this year, are we all thinking about preparing our cars for long motorway journeys? It is vital that you check your car is safe for motorway journeys by taking it to a Trust My Garage member for a service. Over one hundred people died on UK motorways in 2011 and 740 were seriously injured. A number of these accidents were results of mechanical faults and vehicle defects, causing such things as; tyre blow-outs, brake failure, and steering mechanism failure. The most common type of steering problem is loss of power steering assistance due to damaged hydraulic pipes or a loose drive belt; normally indicated by heaviness in your steering. Smaller modern cars have electric power steering and any problem here may be accompanied by a warning light on the dashboard. Last summer it was revealed that the number of people convicted for driving with dangerous or defective tyres was a massive 9,369. If your tyres are inflated too much or too little then you are putting yourself and your passengers at risk of a tyre blow-out, which effectively causes the tyre to explode, making you unbalanced and causing you to swerve out of your lane. This is more likely on a motorway where the tyre temperature is higher because of the sustained high speeds and you will need quick reactions in order to stop safely. It is important that you check your tyre pressures according to your handbook recommendations before you set off for a motorway journey. Unsafe brakes can be caused by worn brake pads, leaking brake fluid, or mechanical failure. You should regularly check these, and especially when you are heading for the motorway as responsive brakes are essential when stopping suddenly at such high speeds. If you are starting to feel increased or decreased resistance when stopping then it is time to consult a trusted garage. 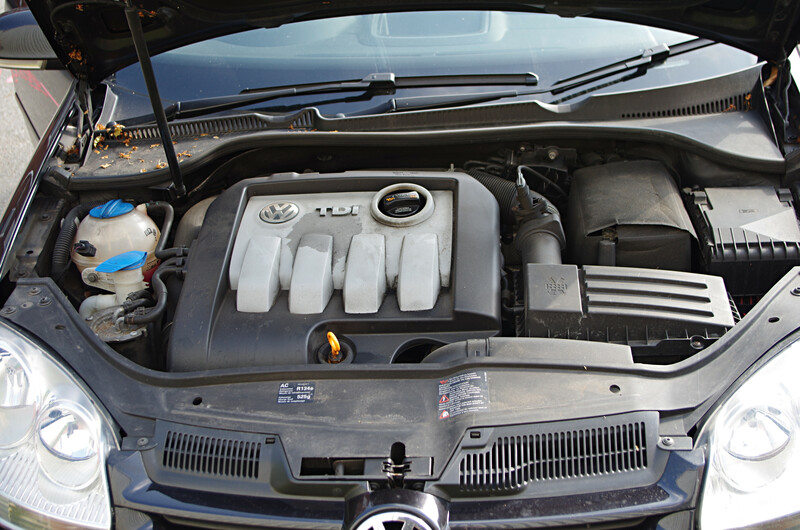 All fluids under the bonnet should be checked regularly, but even more so if you are about to take a long journey on a motorway. 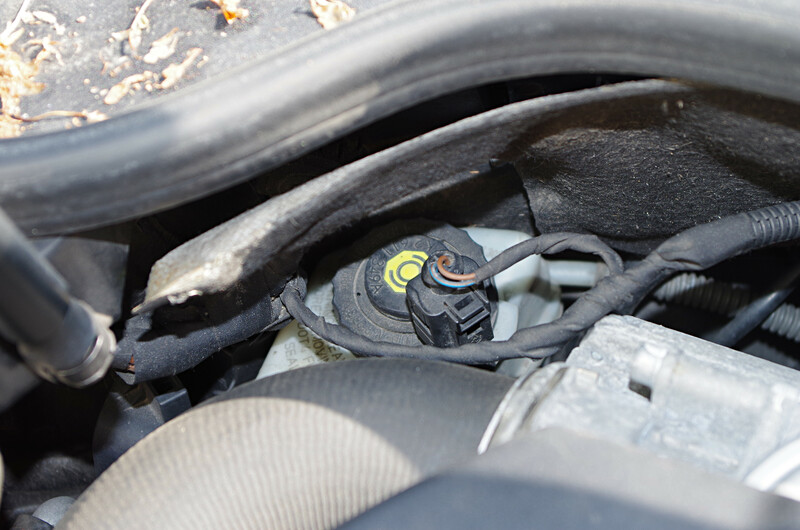 These include brake fluid, oil, engine coolant – if any of these are running low you run the risk of breaking down on the motorway, which is dangerous with other vehicles moving past at 70mph – so make sure you are all topped up before you set off on the motorway and don’t forget to check the temperature gauge as your journey progresses. You have got the POWER to keep your vehicle on the road! Wherever you are heading in your car this summer, we’re helping you to remember an easy acronym by which you can prepare your motor for any long journey. – just remember, POWER. Do you have enough fuel for the journey you’re about to make? Not only does running out of petrol cause a huge inconvenience to your journey but it can cause other problems as an empty tank can end up picking up all the crud which accumulates in there increasing the chance of a blocked filter. Do you have enough oil? If you run out of oil then there is no lubrication for the moving parts in your engine and they will become too hot and there is a risk that the engine will seize, ruining your car. 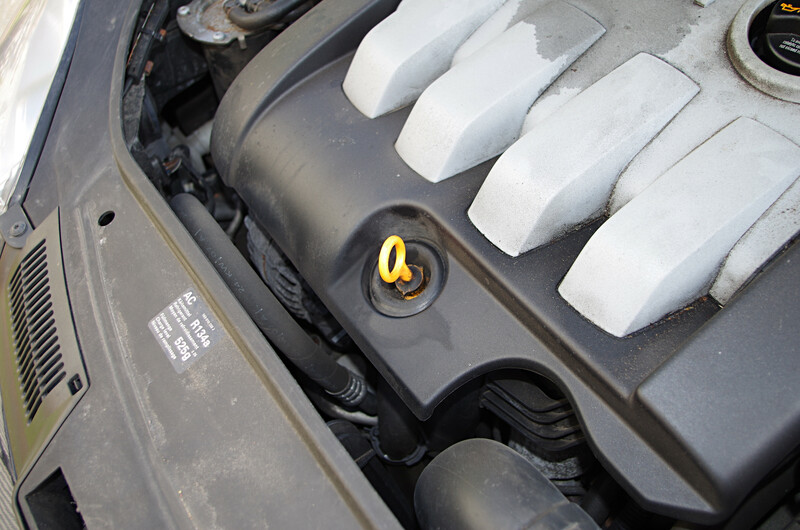 The pictogram on the oil cap may suggest you check your manual to find out the type and quantity of oil required and the dipstick will tell you The level of oil in the engine. Unless the manual advises otherwise, the oil should be checked with the car on level ground with the engine off – but not completely cold. 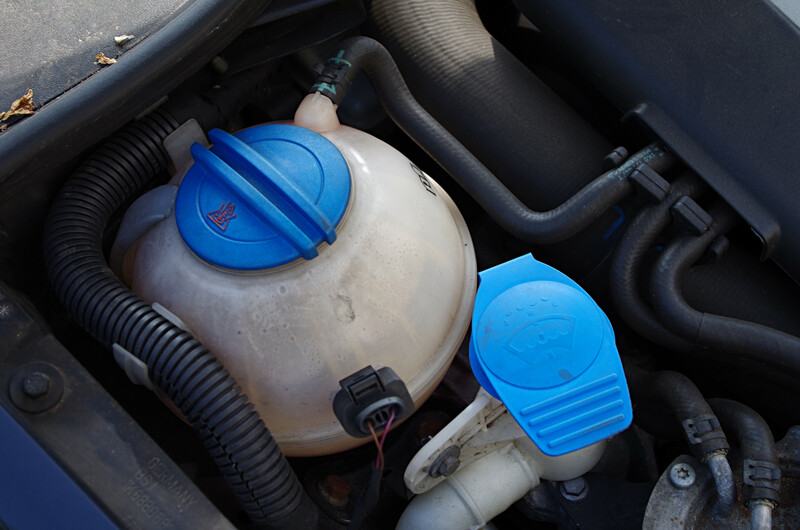 Most modern cars require a specific coolant designed for the engine, which will be available in most petrol station forecourts. In an emergency you could top up with normal water but this is not ideal as modern coolant contains additives to prevent corrosion to maintain the waterways in the engine. It is of paramount importance that the engine is cool before removing the cap so let your engine fully cool down before you touch it. In modern cars the only electrics we would generally check ourselves before a long journey are the lights; indicators, brake lights, headlights. If you’re going abroad make sure you deal with beam deflection, however it’s not as easy as it used to be as we don’t have a simple round head light that we can stick a black label on. Often modern beam deflectors are silver in colour and there will be a set of instructions with where to stick that to ensure it deflects the beam correctly. Unsafe tyres are one of the biggest causes of accidents. Before you set off for the seaside as well as checking the tyre pressures, make sure you check the depth of tread to make sure it meets the 1.6mm minimum requirement and that there is no uneven wear and also check for cracks, bulges, or splits in the sidewall. 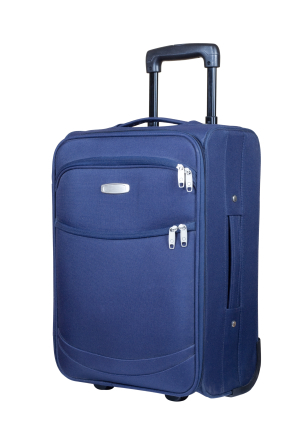 Don’t forget to look again with the wheels turned to full lock so you can check the inside of the tyres. Are you a female driver? Are you carrying out basic maintenance checks on your car? A recent survey that we conducted found a staggering 67% of female drivers do not do something as simple as check their brake fluid levels and just under half don’t check their oil levels as often as they should. One of our members in Ashton is doing its bit to help women better understand their vehicles, and is offering vital training to female drivers, demonstrating how to carry out basic car maintenance checks. GuideBridge MOT & Service Centre has been a TRUST MY GARAGE member since we launched the independent scheme. A family-run garage, it has earned a reputation as the most ‘female friendly garage in Ashton,’ thanks to the extra care and considered approach it takes towards making female drivers feel at home when they take their vehicle in for a service, repair or MOT. 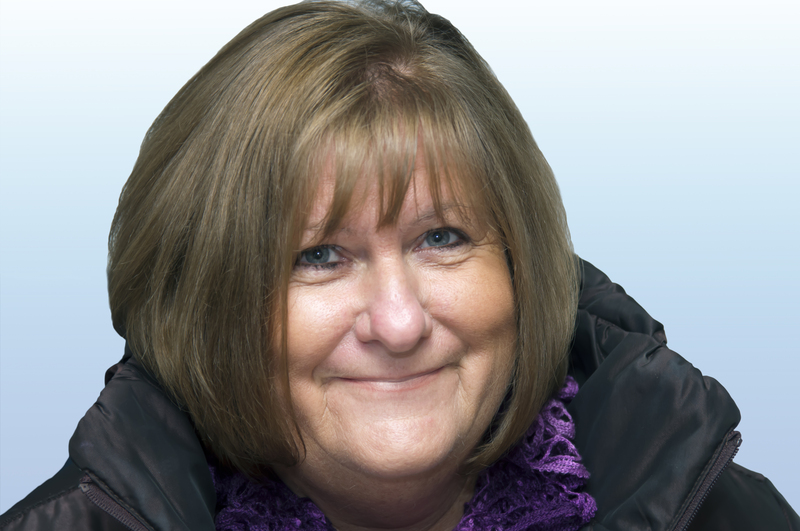 Jan Lord, Business Development Manager at GuideBridge tells us more…..
“Guide Bridge MOT & Service Centre is managed by three ladies who each have a different role to play. We are all drivers ourselves so we understand the issues that female drivers face. I work behind the scenes on marketing and Fleet Management, Nicola is our Garage Manager, and we also have our receptionist, Lauren. A large proportion of our customers are women; there is around a 70:30 split and I think this is because we have female faces in the garage which makes female drivers feel more at ease when entering a garage environment. As women, we understand that it can be bewildering when it comes to car maintenance and repairs. This is exactly why we have developed a process of educating and supporting female motorists in our area – to make them feel relaxed and confident with their own cars. We hold regular workshops for women to teach them the basics about car maintenance. It’s hugely popular and we have helped women from all walks of life. We’ve had women from 17 years-old all the way to 79 years-old, and a group of women from the Women’s Institute also attend regularly. We encourage the female drivers who join our course to imagine what it would be like when faced with a real life breakdown and teach them how to react in these situations. We had one lady attend once in a tight short skirt and stiletto heels. Why? Because this is what she would likely be wearing in the event of a breakdown as she uses her car to travel to social events! We usually teach around three ladies at a time, and advise them to come in with their own cars so that we can go over everything that they need to know to keep their cars in good condition. This includes; what certain buttons do on their dashboard, why there are different lights on a dashboard, how to change wheels and windscreen blades, and checking all fluids. They always go away feeling more confident should they ever experience a break down because they have learned how to act in these situations. GuideBridge is a family-run business providing MOTs, car servicing, and vehicle repairs in Tameside, for both private motorists and fleet operators. It was established in 2003, and is lead by Derek Lord who has over 40 years experience in the motor trade. As a proud TRUST MY GARAGE member, GuideBridge will be attending the annual Greater Manchester Business Expo on 16th July at the Hilton Hotel on Deansgate. If you are attending, pop along to see them – they will be handing out goody bags to visitors of the stand and helping to educate garages and motorists about the great work we are doing at TRUST MY GARAGE. What colours are under your bonnet? Many of us drive around in our cars blissfully unaware of the useful colour coded guides that are often under the bonnet. This came to light recently as we were filming at one of our member garages. 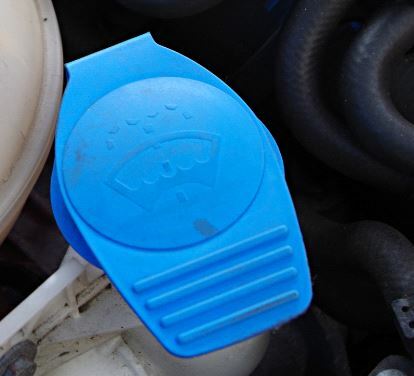 The non-mechanics among us were surprised to be shown that the fluids you are able to check yourself under the bonnet are often colour coded, particularly in modern cars where the things you can check yourself may be less obvious than on older vehicles. Keeping on top of a few simple checks yourself means you are less likely to have something go wrong with your car, and it may even help you avoid expensive repair bills. Oil lubricates and cleans all the moving parts of your engine. In most cases, where you check the oil (the dipstick) is separate from where you put the oil – although everyone who has ever worked in the motor trade will be able to tell a story about cleaning up the mess after people have tried to top up the oil through the dipstick hole. There are always exceptions to this rule and some Renault and Peugeot cars have a combined dipstick and oil filler. 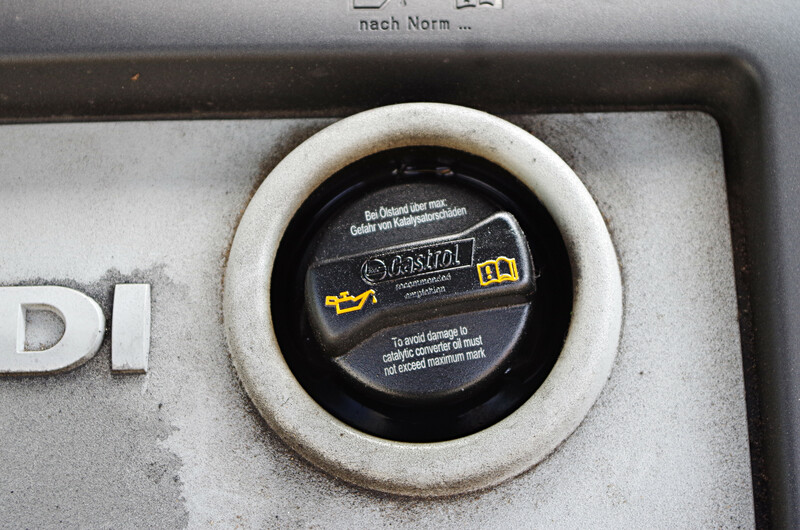 Oil filler caps and dipstick handles are often yellow and may have information or pictograms embossed into them. Unless the handbook indicates otherwise, oil should be checked after the engine has been running for a while then switched off and left for a few minutes. It should not be checked with a completely cold engine. Make sure the car is parked on level ground before attempting to check the oil. Modern oils are carefully refined to suit the characteristics of today’s engines and you should be careful to ensure that you are using the correct oil. Consult your car’s handbook to confirm the correct type and viscosity rating. If you need to add a significant amount of brake fluid or need to top up fluid regularly, you should seek assistance from your nearest TRUST MY GARAGE member. Modern engines may require a specific coolant fluid rather than plain water although it is OK to top up with plain water in an emergency. Once again, excessive or ongoing loss of coolant is a warning to take your car to your nearest TRUST MY GARAGE member to be checked.